Whether it’s a simple cane, a more advanced walker or even a sophisticated hospital bed, it’s possible that you’ll need to use a piece of medical equipment as you get older. The costs of these items can be significant, but Medicare Part B will pay for many items so long as they meet requirements that may include being prescribed by a physician, being durable (long lasting) and being for use in the home setting. For an overview of the Medicare Durable Medical Equipment Program, take a look at the website Medicare Interactive. And for good questions to ask when exploring the purchase of a piece of equipment, you’d be wise to consider the advice from Daily Caring. For items not covered by Medicare, you might be surprised where else you can look for good prices with a range of options. Sites like eBay, Craigslist, and even Amazon have a range of options for purchasing new or used medical equipment. And if you’re looking to get rid of equipment you no longer need, these same sites are also available for selling. 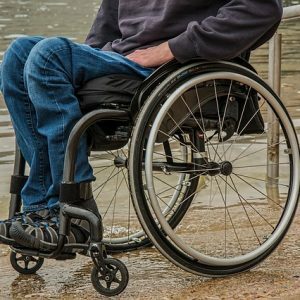 For platforms specifically set up to sell a used wheelchair, check out this advice from SpinalCord.com. It’s easy to feel overwhelmed when considering the need for medical equipment for a loved one or for yourself. But doing your research will definitely help determine need, pricing, and logistics, both before buying (or renting) and after you no longer need the equipment. For some extra support as you make your way through this, reach out and read here.